There are some places or objects you stumble upon and you just wonder why that’s a thing. I’m starting the “Weird & Wonderful” series to share some of the odder things I come upon during my travels. I’ll start with the strange decorations from one of the parties I went to. 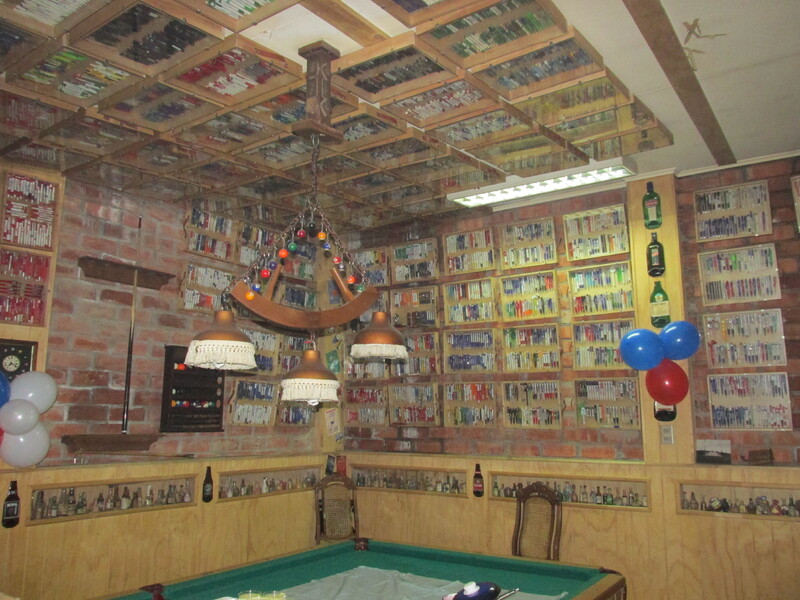 Parties and get-togethers in Chile are normally in quinchos; rooms or buildings that are only used for partying purposes. Instead of having a house party, people will have an out-house or garage or part of the house with space to cook and eat, and then often tables and chairs are moved so the dancing can happen! The quinchos normally have a door to the main house, but also a separate door for guests so you can go straight in. Especially this far south, barbecues can’t really happen outside so pretty much everyone has a quincho instead of a garden, which can be used as a place to generally hanging out as well. To me they sound like a great way of having a party and then not worrying about cleaning up until later! 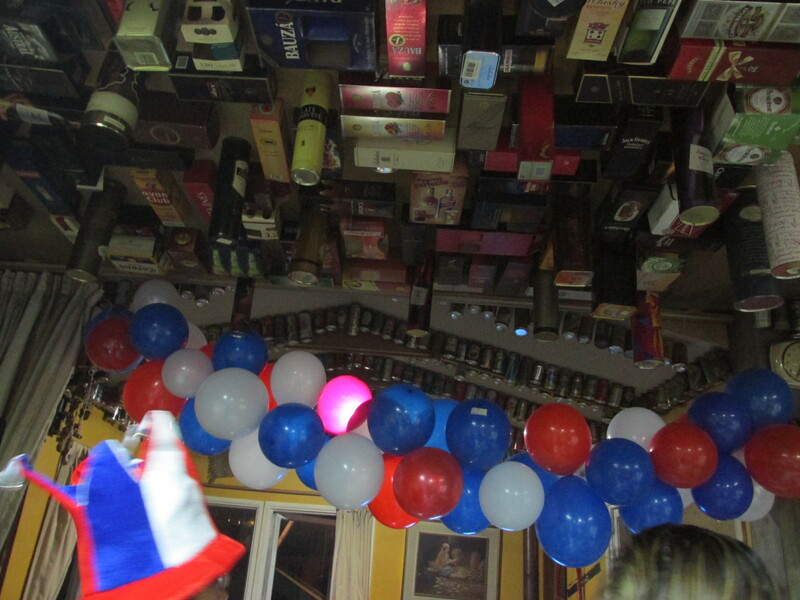 This particular quincho looks pretty normal, but once you looked past the red, white and blue additions that we’d added, and turned your head up to the ceiling, even this part of the room was decorated, but not by us! All types of bottles and cases were stuck to the ceiling, and another part of the room had record covers all over it. I hope they didn’t drink all this in one sitting! 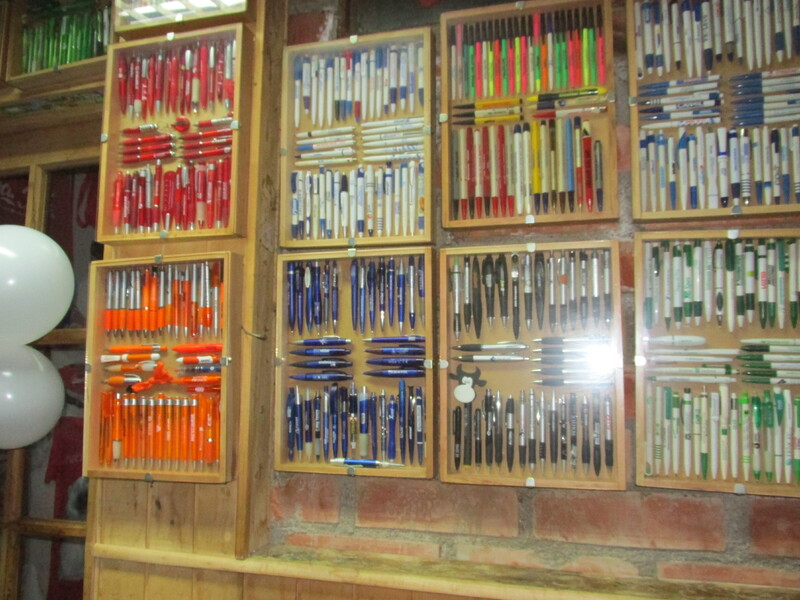 It makes for a very colourful room, but it does make me wonder why someone decided to start collecting pens, and how long it must’ve taken them to collect this many. Did they just buy lots of pens? Or were they only collecting free pens? Did they put up the boxes and add pens as they found them or wait until they had a case full? Either they collected just enough to fill this particular room, or they went overboard and there’s a pile of rejected pens somewhere. I’m not sure which is stranger. Have you ever come across some weird decorations? Let me know!